The first of its kind, Bohemian Cards is a greeting card company created for its’ generation. The vision is to create eco-friendly cards with relevant expressions on them capturing the skate, surf, snowboard, bmx, motto, and artistic lifestyles. Bohemian Cards also previously made collaboration greeting cards with companies like ROXY, ADIO, RVCA, CIRCA, and can create custom displays along with private label lines for companies and stores. 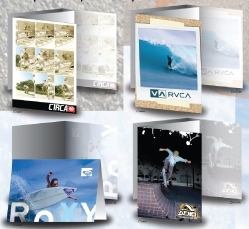 Offering greeting cards to action sport retail customers is a great idea and it’s never really been done before. It saves customers time and money from having to go elsewhere and the cards match the spirit of the gifts. Retail store profits and customer gratitude is likely to be heightened by offering the convenience, and it shows customers that stores are considerate of their needs. Greeting cards are available for purchase by consumers and retailers here at www.bohemiancards.com. There is also a sponsorship program that’s been launched geared toward acquiring top athletes and photographers that would have their photos or images displayed on the cards. Bohemian Cards have been carried at retailers globally and aims to be the number #1 supplier for the action sports industry.